Welcome to Wine Blogging Wednesday #60! 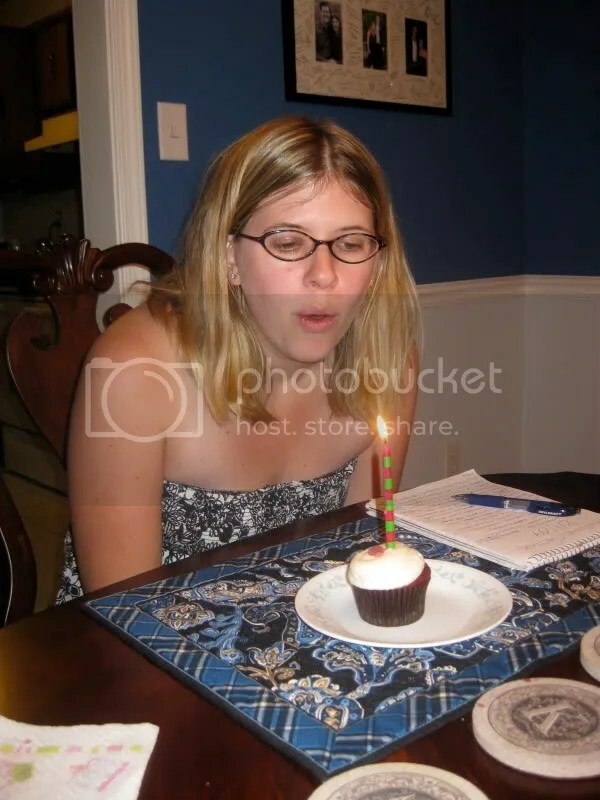 This month I am hosting the 5th birthday of WBW, and I set the theme to “I Have Zinned.” You can read all the original details here, but the short and sweet version is that I asked you to pick a Zinfandel and make some BBQ or grill some meat! Zinfandel is one of my favorite wines with grilled or BBQed food, so I drink lots of it in the summer and I want to hear about your great matches with it! Seeing as how I’m hosting, I had to pull out some stops for my own post. 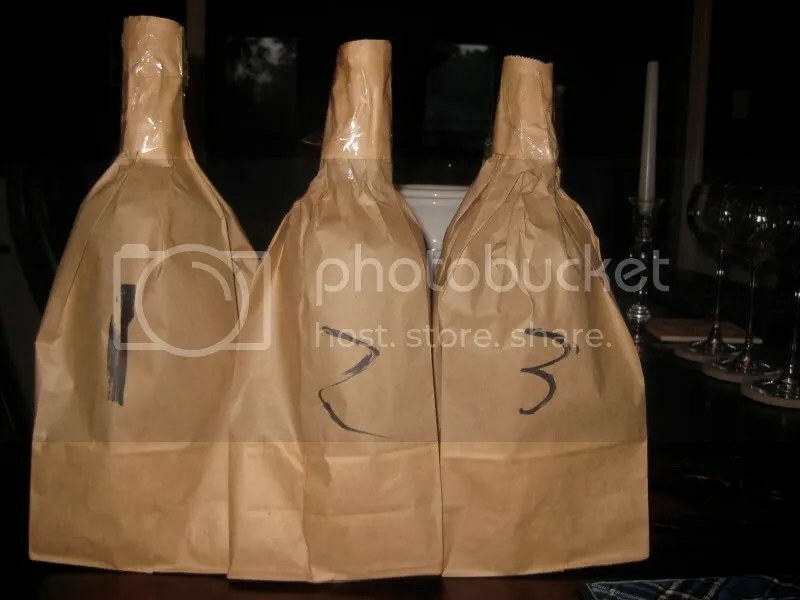 I decided to pluck 3 Zins that had been resting comfortably in my cellar and do a blind tasting quasi-vertical tasting. Quasi-vertical meaning that I picked wines from 3 consecutive years but from different producers. I actually probably could have pulled this off with Zins from the same producers, but, hey, it was my birthday and I wanted to do it this way! 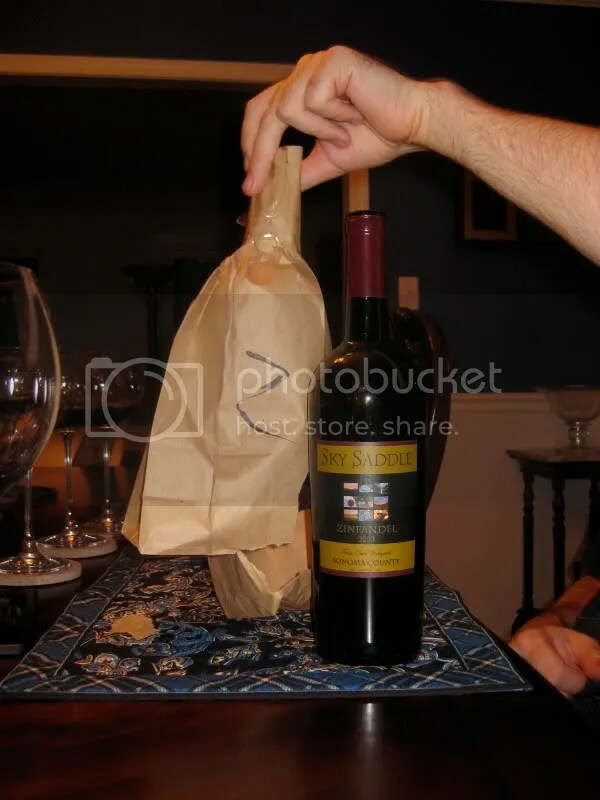 I picked the bottles and bagged them in brown paper bags. Then Matt uncorked them and mixed them up so I wouldn’t know which was which. We numbered them and set about tasting with BBQ ribs and without. Zinfandel #1: Spicy, pepper, cranberry, brown sugar, black fruit, black currants, milk chocolate, raisins, chocolate covered cherries, blackberry, black cherry edges, some red fruit on the finish. At first I found the wine to be lighter/thinner in the mouth than I expected but after it aired I found it to be rounder and smooth. This got top marks for being the best on its own. Zinfandel #2. Tart fruit nose, bright blackberry, bright dark fruit, fresh, juicy nose, cream, vanilla, pepper, raspberry edges, mint, red fruit in the mouth , peppery, spice, dry tannins, smoke, herbs, eucalyptus. I liked this one more on its own than number 3, but I didn’t care for it with BBQ. We only tasted the small sips we poured into our glasses and finished the bottle the next night after leaving it out on the counter with just the cork stuck in. On night two, this had transformed into a delightful wine, with big dark fruit in the mouth, nice structure, and herbs. I’d suggest running this into a decanter. Zinfandel #3. Jammy black currants, blackberries, spice, black cherry, tart cherry, blackberry, dried rose, blue fruit, nice acidity, a hint of candied fruit, meaty, red fruit, ready to drink. This got top marks for drinking with BBQ. I didn’t like it as much on its own, but you’ll have to ask Matt how this tasted on night 3 as I had taken off to St. Louis for work. 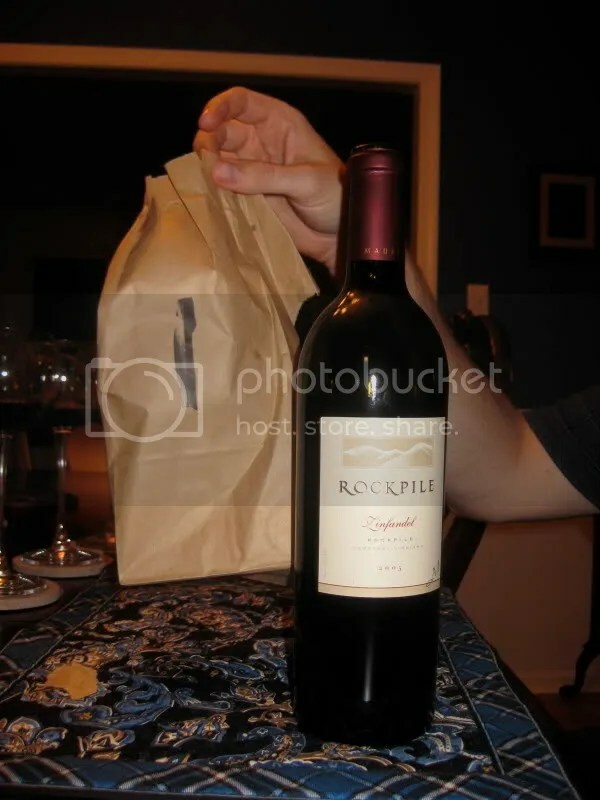 #1- 2005 Mauritson Rockpile Cemetery Zinfandel- $28 club shipment. #2- 2003 Sky Saddle Zinfandel-$27 WineQ. #3-2004 Ridge York Creek Zinfandel-$28 purchased at winery. We had a lot of fun doing this tasting. 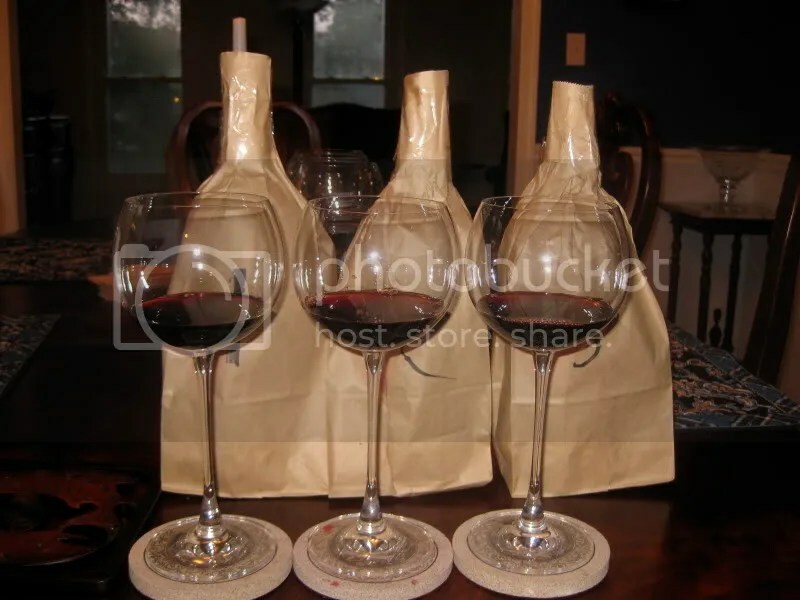 I rarely get around to blind tasting mainly because it’s just the two of us and we normally only open one bottle of wine at a time. I think what surprised me the most was how little I liked the wines with the BBQ ribs. Our BBQ was maybe just a touch too sweet and it really made the wines taste thin. I laughed, because my whole premise for this WBW was that I love Zin with BBQ. And I usually do. But I also usually grab for the really young fruit and pepper up in your face Zins to pair with it. Here, I chose older Zins that had mellowed and smoothed and perhaps didn’t have the oomph left to stand up to the BBQ sauce. I can’t wait to see how everyone else fared! I hope you all had a good time with the theme too! Get me your entries by leaving a link here or sending me an email at ctsonadora@gmail.com. As always, a tip of the virtual hat to our founder Lenn. In this bottle of wine, I found what Petite Sirah is often used for: a blending grape in Zinfandel to add some depth and balance. The bottle was a 2004 Ridge Lytton Springs Zinfadel, and it was blended with 18% Petite Sirah. I picked this bottle up at Ridge for $33, it clocked in at 14.5% alcohol by volume and had a real cork closure. On the nose I found vanilla, blackberries, oak, cherry syrup, and cedar. I believe that this bottle was my choice from Ridge, and I remember being really pleased with the nose on it then, as I am now. In the mouth, flavors of blackberry and pie dominated, with a bit of cherry thrown into the mix. Overall the wine was very fruity and fairly smooth, though it could probably hang out for another year or two, or maybe until this summer where it would make an excellent wine to have with bbq ribs. Although our weather has been admittedly hot, we have had a cool(er) streak for the last week. I jumped at the chance to dig into some more of my red wines to mix things up around here a bit. 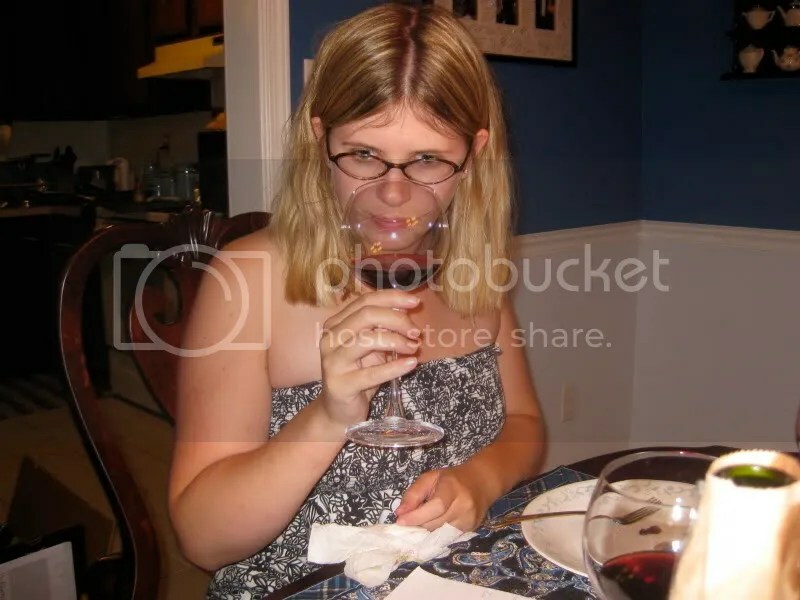 I try my best to drink a variety of wines to report on for everyone! 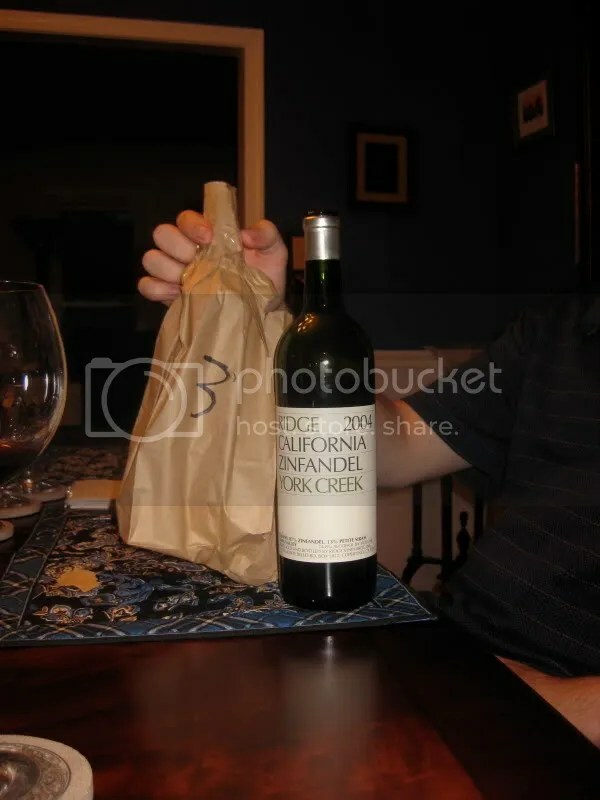 The bottle I picked was a 2004 Ridge York Creek Zinfandel. We picked this bottle up on our April trip out to the Sonoma are when we visited the winery. The bottle cost $28, had a real cork closure, and contained 13% Petite Sirah. On the nose I found the elements of a great dessert. Vanilla, chocolate and blueberries dominated, with a hint of anise rounding out the aroma. In mouth the wine was silky smooth; the bottle disappeared before I knew it. I got blackberries, blueberries, and a peppery kick. Overall the fruit tasted very fresh. I served it with a perfect summer meal: burgers on the grill, pasta salad, and potato salad. This seemed like a very food friendly Zinfandel. I’ve got another bottle clanging around and I look forward to drinking it. One of my pet peeves about websites is when they contain outdated information. Such was the case of Ridge Vineyards at Lytton Springs. The website says it has no tasting fee. Well, they do. We asked if they waive the fee if you buy wine, no dice. Oh well, we went ahead with the tasting anyway, and thankfully, our attendant ended up not charging us for the fee when she rang us out. Yay! My impressions of the tasting room: The tasting bar was fairly large and very high off the ground. The interior really lacked any personality, I would say it was sterile and cold. Not really any decoration. I like to see something in a tasting room, especially if it’s not a busy day for the tasting room I like to wander around and look at pictures of the vineyards and such. Their overall wine list made my jaw drop. I had NO idea that their wines went for so much money! Not the ones that were being tasted, the ones for sale! 2004 Geyserville Zinfandel: $33. Blackberries, cherries, spicy, cracked black pepper. 2004 Lytton Springs Zinfandel: $33. Vanilla, blackberry pie (blackberry desserts and vanilla were common wine experiences for me this trip…), blueberries. This wine was very juicy. Matt’s favorite from this stop, we took home 1 bottle. 2004 York Creek Zinfandel: $28. More peppery than the Lytton, and the fruit had a darker quality. Blackberries and jucier than the Lytton. This was my favorite offering at Ridge and we took home 2 bottles. 2003 Lytton East Zinfandel: $30. Younger tasting fruit than the previous offerings, oddly enough given that it was a 2003. Juicy fresh blackberries, vanilla with a pepper note. 2002 Lytton Estate Petite Sirah: $30. Alcohol on the nose of this one, I had trouble getting past it. Cracked pepper, blueberries and blackberries.